Lindell & Co was founded by Gabrielle Soyer in 2007. A trip to India and the discovery of a certain type of chain stitch embroidery, unavailable in Europe, gave Soyer the idea of re-introducing it to Europe. She returned to Kashmir to hunt down artisans still producing this labour-intensive embroidery. Today Soyer produces two highly sought after collections a year. Soyer travels to Kashmir every summer to supervise production, working only with the most highly qualified artisans, who produce the most exquisitely detailed stitches. 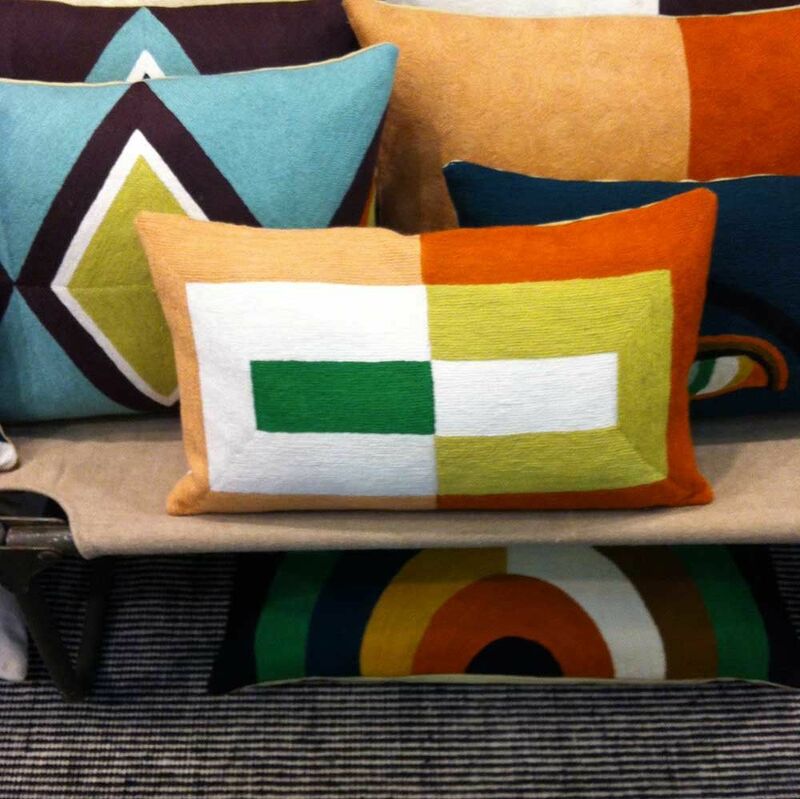 Lindell & Co's cushions combine colour, pattern and texture in a striking way, mixing influences from ancestral India with Gabrielle Soyer's Scandinavian heritage.